An Estonian politician has come up with a proposal to ban the Koran in public places, saying that the “negative and criminal side” of Islam is very strong and that banishing the Muslim sacred book is good for Estonia’s safety. 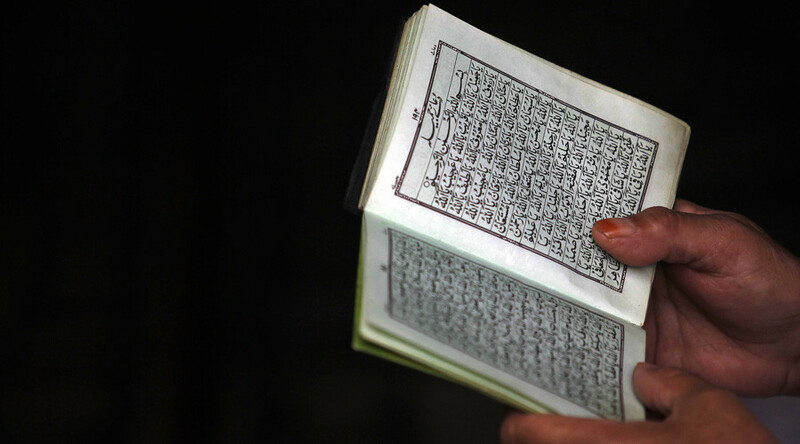 Outlawing the Koran was proposed by Kristiina Ojuland, head of the People's Unity Party (PUP), Estonian media reported. “Today, the negative and criminal side of Islam is so strong that we believe this move is a necessary measure to provide safety for our country and our nation, especially our women and children,” Ojuland, who served as Estonia’s foreign minister from 2002 to 2005, told the Estonian BNS news agency. The party’s leadership said it is concerned over the growing number of refugees arriving in the EU and in particular in Estonia. "We decided to start gathering information from the population on cases of abuse and harassment, which is hushed in the mainstream media," Triin Raidmets, the leader of the PUP branch in Pärnu, said. In February, the Soldiers of Odin, an international anti-immigrant group, held a meeting in Estonia. Its members said they were planning to conduct regular street patrols to keep a close eye on refugees. According to open data on Facebook, there are more than 8,600 members of Soldiers of Odin in Estonia. Some of them, the Eesti Päevaleht newspaper reports, are high-ranking military officials and members of the Kaitseliit (Defense Union), Estonia’s volunteer paramilitary unit and an integral part of the national military. In March, seven asylum seekers from Iraq, Yemen and Syria arrived in Estonia as a part of the EU's relocation plan. They were housed in the Estonian capital, Tallinn, and the city of Tartu and got one-year residence permits. All in all the Baltic country is expected to host 523 refugees in 2016. Its neighbors Latvia and Lithuania are to accept 776 and 1,105 asylum seekers respectively. Since January 2016, the topic of refugees sexually harassing European women has making headlines. One of the biggest scandals was reported in the German city of Cologne, where “heavily intoxicated” men of “Arab or North African” origin attacked local women en masse in the city center on New Year’s Eve. Other incidents were reported in other German cities such as Berlin, Frankfurt and Stuttgart. Police have been accused of covering up migrant attacks. In January, reports emerged that a 17-year-old asylum seeker raped a 72-year-old pensioner in Austria. Local anti-immigrant activists were outraged after the court didn’t deport the attacker and gave him only a 20-month prison sentence.